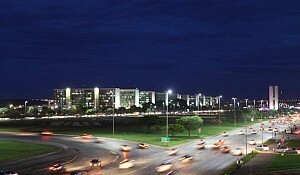 The State of Sao Paulo accounts for more than 50% of Brazilian finance companies, has the 4th largest stock exchange in the world (BM&F), 50% of oil and gas supply companies, the third largest airplane producer in the world and important research in producing green energy from biomass and solar energy. If it were in Europe, the State of Sao Paulo would be its own country. Slightly larger than the entire United Kingdom and with a population four times the size of Portugal, Sao Paulo also boasts a higher nominal and per person GDP than Poland. The city of Sao Paulo is the world's seventh largest city by population and the largest city in the southern hemisphere, its GDP makes it one of the world´s Top Ten Richest Cities, and it is home to 21 dollar billionaires, 7 of which, according to the website discoveringsaopaulo.com became billionaires in 2011. 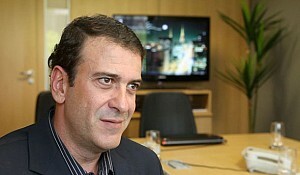 According to Luciano Santos Tavares de Almeida, President of Investe Sao Paulo, an agency set up to assist foreign companies wanting to invest in Sao Paulo, "the State of Sao Paulo accounts for more than 50% of Brazilian finance companies, has the 4th largest stock exchange in the world (BM&F), 50% of oil and gas supply companies, the third largest airplane producer in the world and important research in producing green energy from biomass and solar energy. This is one of the most important centres in the world for bio-fuel development". 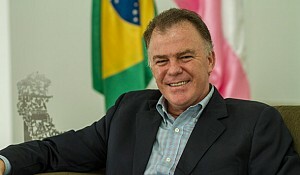 Whilst President of the French-Brazilian Chamber of Commerce, Louis Bazire, added that when investing in Brazil "it makes sense to enter first in the South-East region – Sao Paulo or Rio de Janeiro. The GDP of Sao Paulo state is bigger than that of Argentina. Consequently, the South-East region is best equipped in terms of infrastructure. Most of the international companies are there as well. The market proximity is also huge." However, whilst Sao Paulo is definitely the main driving force behind Brazil´s economic growth it has a long way to go if it really wants to compete on an international scale. In the fifth Cities of Opportunity study, published this year on pwc.com which examines "the current social and economic performance of the world’s leading cities" Sao Paulo rates either at or near the bottom on the majority of indices. Overcrowded classrooms, a lack of public libraries and, for a burgeoning financial capital, appalling figures in Maths and Science attainment see Sao Paulo rating poorly in terms of "Intellectual Capital and Innovation", whilst it came dead last in terms of "Technology Readiness", showing that Sao Paulo, like the rest of Brazil, needs to place a lot more value and emphasis on training, education and diversification into the service industry. 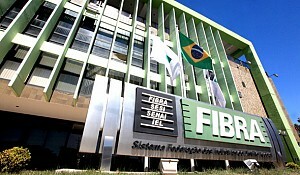 Another rating which saw Sao Paulo at the bottom was "Health, Safety and Security". It is well-known throughout Brazil that car jackings are rife in Sao Paulo and on the British government´s travel website FCO, driving in the middle lane is advised at all times in order to make motorists less susceptible to this type of crime. Sao Paulo is also second last in terms of "Transport and Infrastructure" with its millionaires opting to use helicopters to fly from home to the office due to the city´s infamous traffic jams. Cultural vibrancy however is one area in which Sao Paulo performs well and definitely a reason for foreign tourists to visit there. 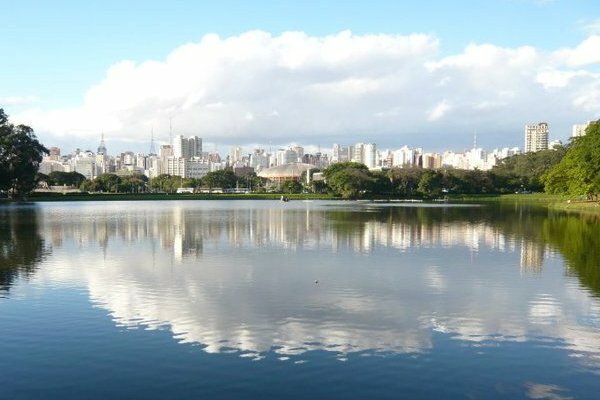 A rich melting pot of races and cultures, São Paulo houses the largest Asian population in Brazil, as well as being home to the biggest Japanese community outside of Japan. 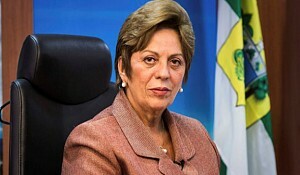 There are many people of Levantine descent and the majority of Brazil´s Jewish peoples live in the state. This was confirmed by Luciano Santos Tavares de Almeida saying that "People love to come to Brazil, because we are very friendly people; this may be one of the only places in the world where different cultures and religions live together without fighting". Admitting the need for Sao Paulo and Brazil to carry this positive cultural aspect over to the business arena he confirmed that "our target now is to make the business environment as friendly as we are as people." Moreover, whilst San Paulo´s biggest internal rival, Rio de Janeiro, has nothing of the cultural mix, or for that matter culture in general, that San Paulo boasts, Rio´s famous beaches, bars and the fact that it´s built around a real jungle, not a concrete one, have always seen it as a preferred tourist destination and it is increasingly becoming a contender as a business centre, as shown in an article published on the website institutionalinvestor.com, stating that Rio de Janeiro is now starting to challenge Sao Paulo as "oil, hedge funds and the Olympics are helping the marvellous city emerge" from Sao Paulo´s shadow. 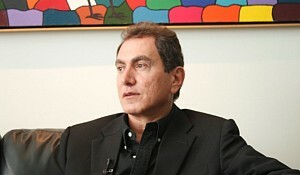 However despite its obvious challenges there´s no doubt that Sao Paulo is heading Latin America´s and to some extent the Southern Hemisphere´s charge to implement a new world order with Carlos Eduardo Abijaodi, Director of Operations at CNI (National Confederation of Industry) confirming that "Brazil was very different ten or fifteen years ago. 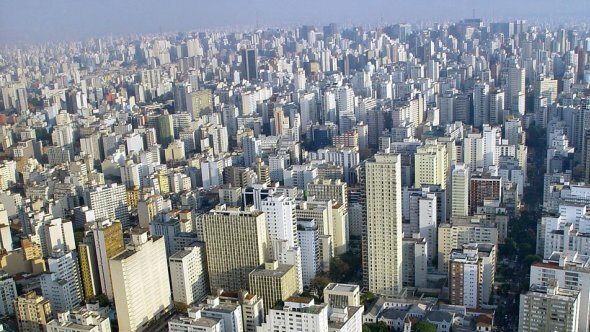 No one would have imagined that Brazil would have the future it seems to have today" and Sao Paulo has already proven its economic clout jumping from 26th to 4th place on the Forbes.com "List of Top Cities for Investors" in just one year. Thus if Sao Paulo´s economy can continue to grow at such an exponential rate and the State can deal with the problems facing it, there is no reason to think that it won´t continue to climb and continue to challenge the status quo, knocking the traditionally dominant European cities and other Northern Hemisphere powerhouses off their perches.